"After serving 22 years in The US Army and working in corporate America for 5 years, I decided to go into business for myself. Previously, I had worked part-time for a TSS Franchise as a photographer while on active duty. I really loved the business model and photography doesn’t feel like work - it’s a fun occupation. It took me about one month to decide I wanted to start a photography business but less than 5 minutes to choose TSS Photography as my place to start. I am using my experiences I learned in the US Army as a Chief Warrant Officer to successfully grow my franchise business. The training and experiences I received on teamwork, managing subordinates, small unit leadership, accounting and tracking systems, and the will to succeed are key factors in my success as a TSS Photography Franchisee. In addition, TSS Photography has a great training program and a continuing photography education system that keeps the TSS Franchisees on top of our market as the leaders in Sports and School pictures. 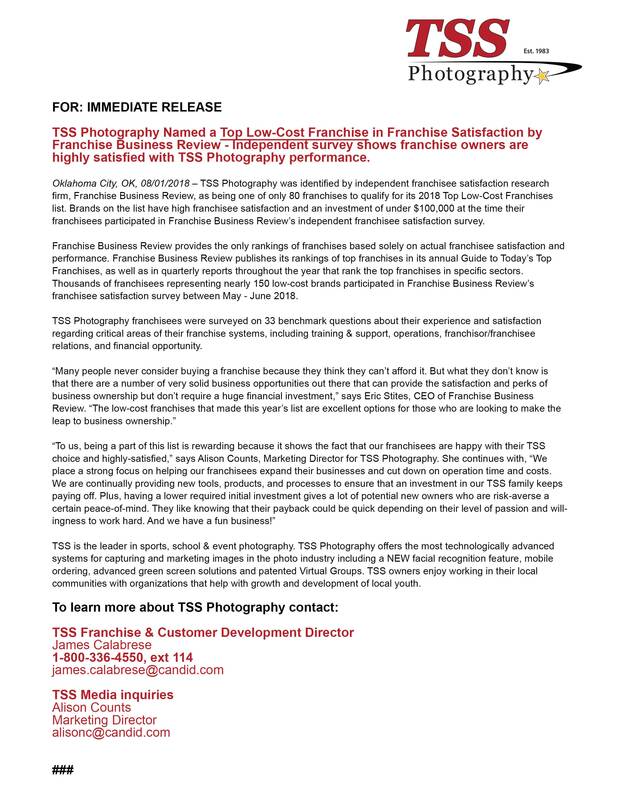 This allows TSS Franchisees to provide our customers with photographic memories that will last a lifetime." "Serving our country on active duty for 27 years in the US Air Force was a great and molding experience. I learned and reinforced the values of excellence in all you do, integrity, discipline, teamwork and much more. These deeply etched ideals formed my desire to continue in meaningful activities after my military retirement - for my family - and yes: for enjoyment. After spending several months pursuing traditional employment and looking into business opportunities, I easily made the decision to join the TSS team. 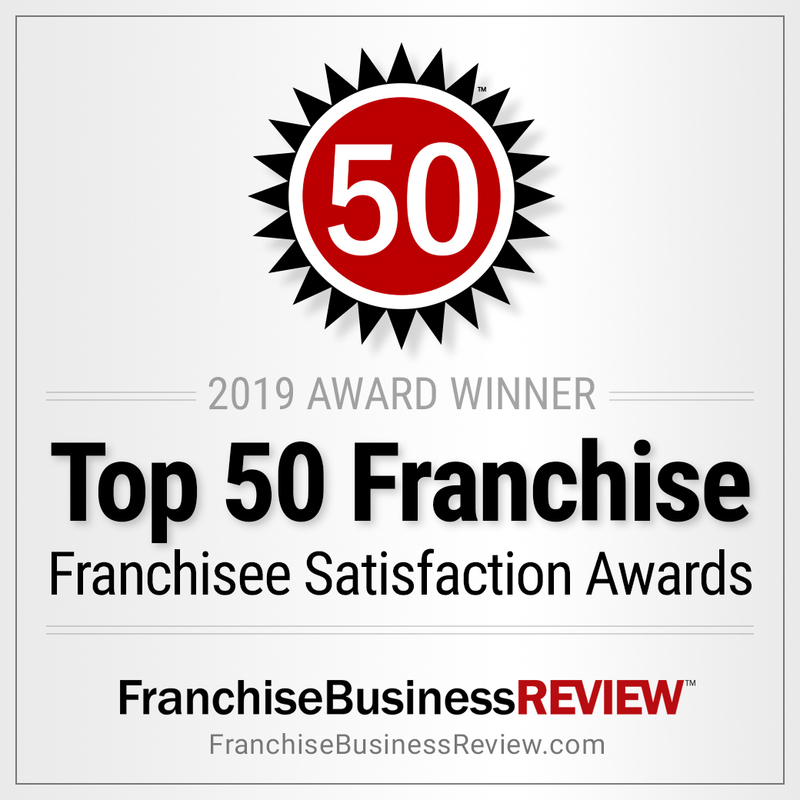 I quickly was sold on the proven business model, the fantastic and helpful TSS staff, an engaged network of TSS franchise owners, the training and marketing support, and for the solid opportunity. It boiled down to this: success was up to me. TSS offered the foundation and opportunity. It is now up to me to build on this toward hitting my goals and big success. I’m excited about this new chapter, and looking forward to this experience." "I was just looking for a little bit of help and I ended up being really surprised and really blown away by an opportunity of a business in a box basically." "After doing wedding photography for over 15 years, we started growing into schools and sports and I needed to find systems to support me and sustain the growth. After meeting the team and seeing all of the systems in place I was sold!" "The franchise offered me a one-stop-shop for all the tools and resources I was looking for to grow my business!" "The franchise does a lot of research before it implements new tools and techniques. After TSS has tested an idea and has proven results we can implement this into our business to grow. A great example of this is their mobile ordering tool." "I have a large team of skilled and experienced people to back up my business, I feel like I am not doing it all by myself."